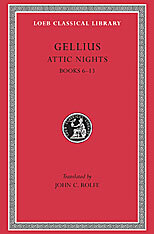 Aulus Gellius (ca. 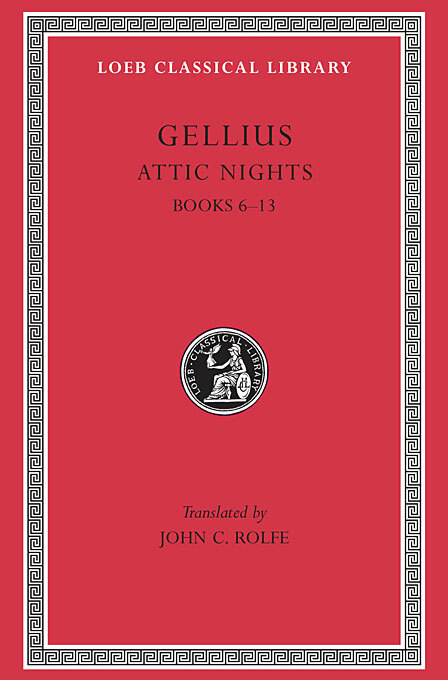 123–170 CE) is known almost wholly from his Noctes Atticae (Attic Nights), so called because it was begun during the nights of an Attic winter. The work collects in twenty books (of Book VIII only the index is extant) interesting notes covering philosophy, history, biography, all sorts of antiquities, points of law, literary criticism, and lexicographic matters, explanations of old words and questions of grammar. The work is valuable because of its many excerpts from other authors whose works are lost; and because of its evidence for people’s manners and occupations. Some at least of the dramatic settings may be genuine occasions.